Facebook is hosting an event on Thursday with a tagline “Come See Our New Home On Android” and everyone is speculating what they are about to announce. 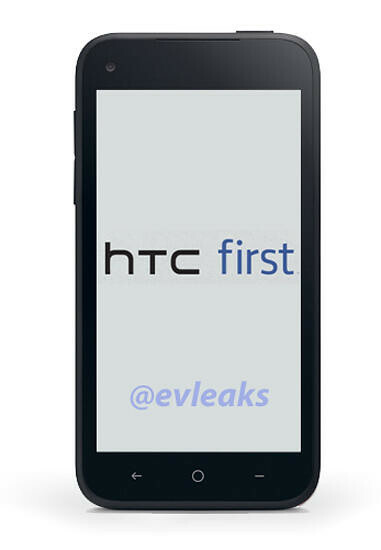 Guess what, @evleaks has leaked a photo of HTC First, a Facebook phone which is very likely to be announced at the event. The HTC First is rumored to feature Facebook Home, a custom launcher and home screen that focuses on deep Facebook integration. According to Android Police, the HTC First is a midrange phone with a 4.3inch display with 720p HD resolution. Sports a dual-core Snapdragon S4 processor, 1GB of RAM, a 5MP rear camera, and a 1.6MP front-facing camera. Let’s just wait for Thursday and see if all these are real.